This globetrotting show is truly quite legendary, selling out in venues from Sydney to Perth as well as on tour around Scandinavia, Europe and in London’s West End. It comes to Stamford Plaza Auckland in November 2018 – but be warned: it’ll sell out here too, so early booking is essential! 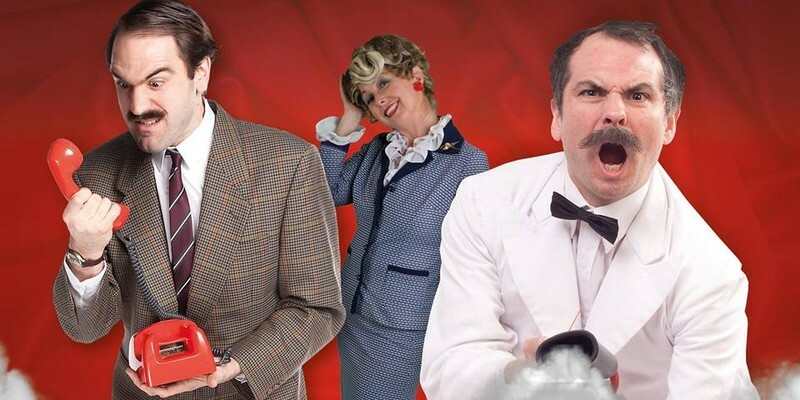 Fully immersive, highly interactive and acclaimed internationally, this is the 5-star show where Basil, Sybil and Manuel serve a 3-course meal alongside a good, strong dollop of mayhem. And it’s 70% improvised, so it’s never the same twice! Great for comedy and theatre fans as well as anyone who fancies an unforgettable meal with a lot of laughs, this show is a truly unique comedy where chaos reigns right from the start. Born in Brisbane in April 1997, Faulty Towers The Dining Experience is a worldwide hit, performed in around 20 countries a year by 10 teams of actors. Highlights of 2018 include a string of return visits to Fringe Festivals in Perth, Adelaide, Melbourne and Edinburgh, and tours in Europe, Scandinavia, Asia and the Caribbean as well as Australia. With an ongoing residency, too, in the heart of London’s theatre land, it’s clear that Faulty Towers The Dining Experience is the most successful interactive comedy show of its kind.